Are you looking for an instrument that can measure the amount of oxygen in your blood fast and easy? If yes, then you what you need is a pulse oximeter. With the portable pulse oximeter, it is possible to measure the amount of oxygen in your blood and also check the changes in the volume of the blood in the skin. This handy, portable device can warn patients when their oxygen level drops too low and they need to apply supplemental oxygen. In addition, they can also warn against too much oxygen saturation when using supplemental oxygen - also a dangerous condition. 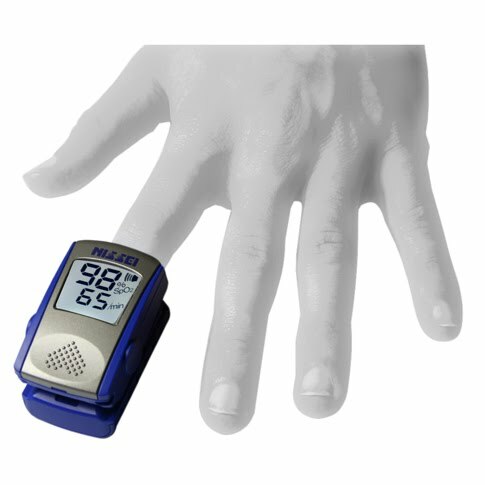 Pulse oximeters are used to monitor patients who have actual or potential respiratory problems. They are also useful for diagnosis of some sleep disorders such as apnea. Before the advent of these handy inventions, an array of complicated blood tests needed to be performed to determine oxygen saturation. Today, more and more people are dependent upon the life saving properties of such medical electronic devices. They can be carried from one room to another and also while traveling. Most of them come in sleek and stylish design and give accurate information. Moreover, they are also durable and easily affordable. Having one at your home will ensure a safe and happy life.